Louisiana wraps up a five-game road trip on Tuesday, February 26, when it makes a quick visit to Hammond for a midweek battle with in-state foe Southeastern Louisiana at Pat Kenelly Diamond at Alumni Field. First pitch is slated for 6 p.m. The Ragin' Cajuns (1-6) are seeking their first road win of the young season and look to snap a four-game skid which started on February 20 at Louisiana Tech. The team is also searching for its first victory in Hammond since a 5-4 decision on April 17, 2016. It was a tough weekend for the team, which dropped all three games of a weekend series on the road at Sam Houston State. Louisiana had plenty of chances to take all three games, but late inning struggles proved to be the difference in the contests. 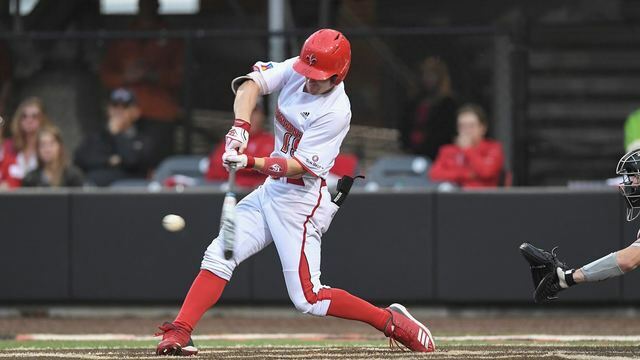 Senior Hunter Kasuls was outstanding in all four of the Ragin' Cajuns' games last week, hitting a cool .444 (8-for-18) with a double, triple and homer to his name. The senior currently leads the offense, hitting .387 (12-for-31) on the season with a slugging percentage of .581 in seven starts at second base. Fellow senior Handsome Monica found his offensive mojo over the weekend, producing seven hits in 18 at-bats against Sam Houston State, two of which were massive home runs in Game Two of the series. All three of the Ragin' Cajuns' starting pitchers were strong in Huntsville, with Dalton Horton's quality start highlighting the team's performances on the mound. Horton, who started Game Two, went 6.0 innings and gave up just two hits and two runs, neither of which were earned. The starting pitcher for Louisiana on Tuesday is currently TBA. Southeastern Louisiana (2-5) has had a solid start to the season at the plate, with Brennan Breaud leading four Lions who are hitting over .300 with a .393 (11-for-28) batting average. The Lions' starter is also listed as TBA. Louisiana leads the all-time series over its neighbors in Hammond, 66-51, including a 22-16 mark under head coach Tony Robichaux. The teams have split the series down the middle over the last 10 contests with five wins apiece.